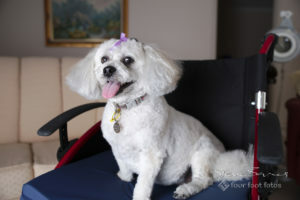 Myer’s owner is over ninety years old, and the wheelchair is significant to her. She sometimes hops in it when Joan vacates it. Portrait photographed by Four Foot Fotos, Ballarat, Australia.